« Prize 2 the Future – Here we come! I was recently asked to document on video why I love Birmingham (and you can too, by clicking HERE). The video testimonials will primarily be used to help attract new tech talent to our city which is becoming known for its tech entrepreneurs and innovation. Scott Pierce, the creator of the “Why Birmingham” video testimonials, believes that Birmingham could actually be the next Silicon Valley! Scott introduced this idea at Ignite Birmingham and his enthusiasm for its potential is contagious! He got me thinking: Is it the people, the climate, the award-winning restaurants, the beautiful rolling landscape, the emerging residential life downtown, or the new Railroad Park that provides our unique quality of life? Is it the beautiful suburbs, the convenience, or the quality medical care and educational benefits provided by UAB? While these are just a few of the reasons that immediately came to mind, I realized that my relationship with Birmingham is complicated and has evolved over the years. Yes, all those things mentioned above are compelling, but it hasn’t always been a love story for me and Birmingham! And I realized the reason this city has kept me intrigued, interested, and involved long enough to see the amazing changes occurring now, is analogous to one of my favorite stories, The Little Prince by St. Exupery. To paraphrase, The Little Prince is asked by the wise old fox why he loves his grumpy old rose which is covered in thorns! He points out that there are lots of beautiful roses in the world and many of them have a better attitude! 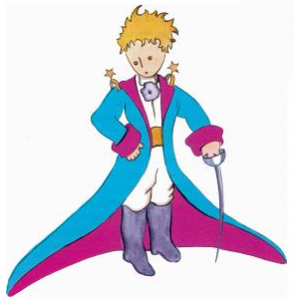 The Little Prince responds that it is special to him because it is HIS rose. And he tells the fox that his rose needs him to protect it, and defend it, water and nurture it, and most of all to LOVE it above all others despite its thorns and its occasional attitude. The wise old fox responds that The Little Prince has captured the secret–that you only love the things that you consistently nurture, defend, feed, and water – you only love the things you “tame” and that depend upon your consistent care. So after 30 years, I guess this is why I love Birmingham! It’s “tamed” me. Yes, I see its thorns…but I also see its amazing potential. I always have! And never more so than now, for all the reasons listed above! This entry was posted on Saturday, February 19th, 2011 at 1:41 pm	and is filed under Artist Bio & Information, Birmingham Information, Birmingham Paintings, History. You can follow any responses to this entry through the RSS 2.0 feed. You can leave a response, or trackback from your own site. Wow! Just Wow Rebecca. A great way put into words on how you feel about the Magic City. Thanks Scott! Love that book…The words certainly apply to all kinds of relationships!